Our goal is simple – it's all about you. Rise to the challenge and realize results. At CrossFit Hoffman Estates we believe in goals and we believe in the results we see month after month in our members. It's their goals, progress and results, that keep us inspired to create new challenges. The variety of CrossFit WODs you'll encounter day after day at CrossFit Hoffman Estates combined with the personal attention you'll receive from our coaches will keep you progressing through your goals and realizing actual results. Another benefit, you're sure to have a lot of fun along the way. As a lifelong competitive athlete, CrossFit has allowed me to continuously challenge myself and has humbled me time and time again. CrossFit not only challenges me physically, but also challenges me mentally to never give up. There is always room for one more rep. Our community is another aspect that drives me. I love to see people get stronger. I love to prove to our athletes what they’re capable of, and prove them wrong when they doubt themselves. I coach because I am inspired by a gym full of athletes, all trying to accomplish their individual goals. I am the WOD strategist and form perfectionist. I am the intense one and the blunt coach. I will not hold my tongue if I see someone not putting forth effort, not challenging themselves or cheating the rep counts. CrossFit is the greatest stress reliever. No matter what you have going on in your life, when you're in our gym working out, every problem or point of stress is left at the door; there's nothing else to think about other than the workout written on the whiteboard. I enjoy coaching. It’s rewarding to see the progress that is unique to each and every individual — from an athlete’s first handstand pushup to someone being able to shovel the driveway for the first time in years. I am the patient coach. I realize that not everyone will get every movement right away but if people are willing to put in the time and effort, I'm committed to helping them achieve their goals. I'm also someone who focuses on working out safely first. Once people understand how to lift properly, I then focus on efficiency and intensity. Crossfit has helped me see strength as the pinnacle of beauty. That femininity isn't defined by being weaker or softer or lesser-than. The callouses on my hands and bruises on my quads represent hard work, determination, and passion that, as a woman, run deep in my veins. As a coach, I have a front row seat to athletes working together towards the same goal, and it doesn't matter if they're a man, woman, young, or old – I don't see our differences as obstacles or disadvantages. Rather, our differences provide a great variety of skills and abilities that can be shared. I am continuously inspired by our athletes who work tirelessly as they step closer to virtuosity. I am the cheerleader, the social one, the mom. I will push you towards the potential I see in you, even when you don't yet see it in yourself. I originally started CrossFit to be healthy and get into the best shape of my life. As an athlete, my goals have evolved and my drive to compete at the elite level keeps me coming into the gym to work on weaknesses everyday. As a coach I get to be a part of the enormous benefits CrossFit has on people's lives. It prepares us for everyday life by forcing us to face and overcome both physical and mental challenges inside the gym, giving us the confidence to face challenges outside the gym. I am the laid back, observant, and corrective coach. I think what separates me as a coach is my overall knowledge on the sport and movement along with my obsessiveness to grow upon it. The gym can be a vulnerable place and I just want to see everybody enjoying themselves and the company of others. That’s what CrossFit is all about. 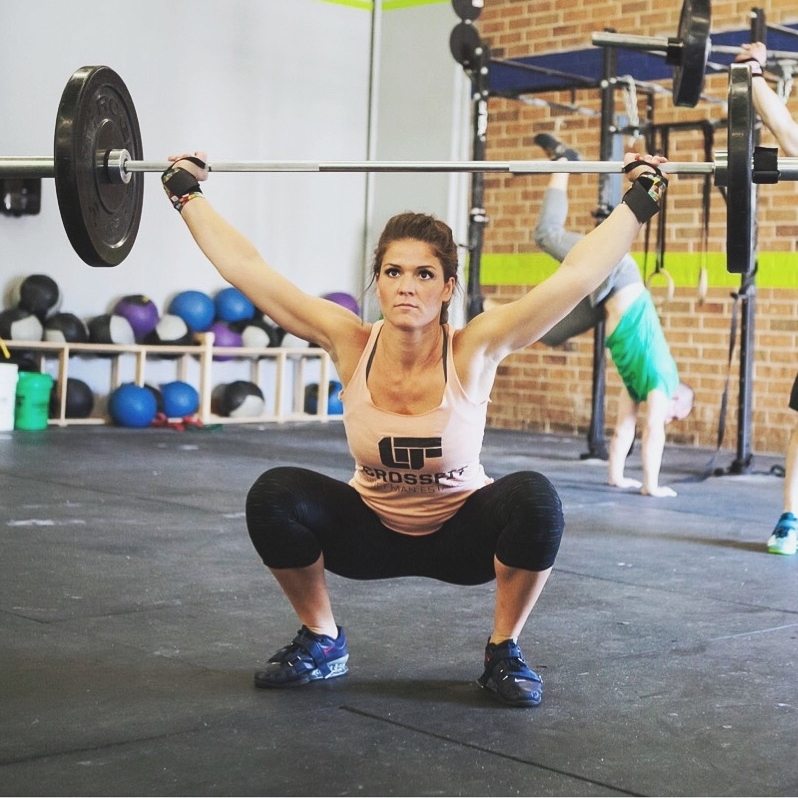 I’ve been to a few different CrossFit gyms in the area and this one is by far the best. Walking into a CrossFit gym for the first time can be pretty intimidating but the people at this gym are down to earth, good people that are just there to get in a good workout. The workouts here are TOUGH and will push you beyond what you thought you were ever capable of.